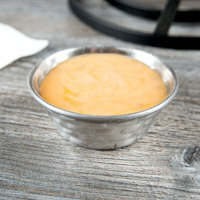 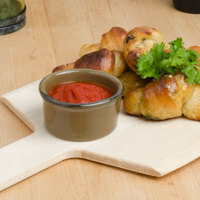 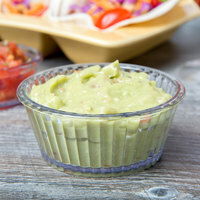 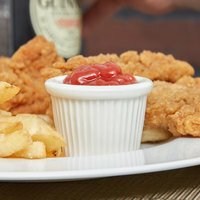 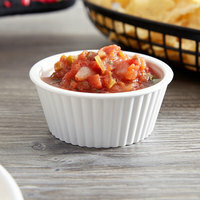 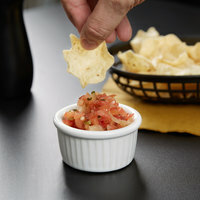 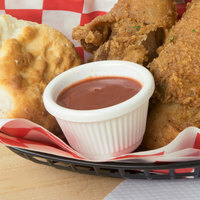 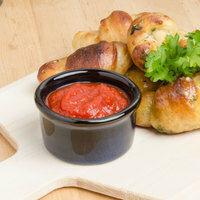 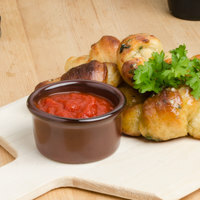 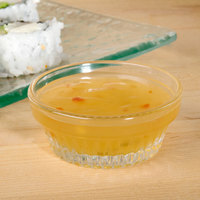 Serve a variety of sides, sauces, condiments, and more in one of our 5 oz. 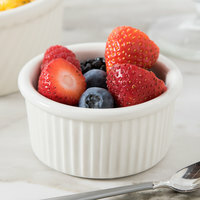 ramekins! 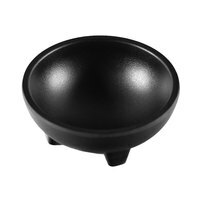 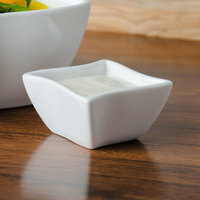 Available in an extensive variety of materials, you can choose the best style to complement your establishment’s décor. 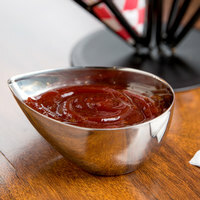 Whether you’re looking for a 5 oz. 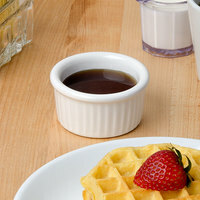 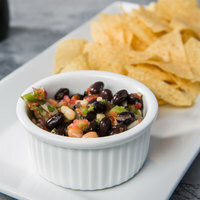 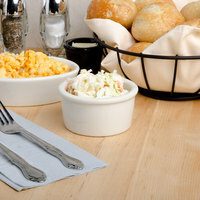 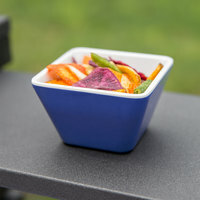 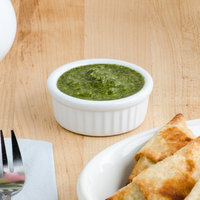 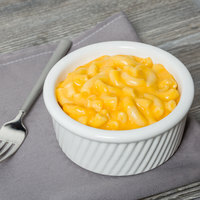 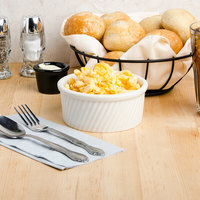 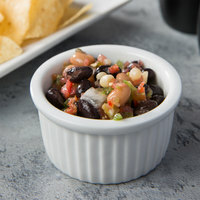 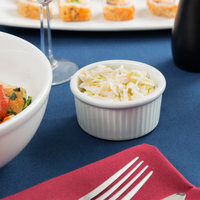 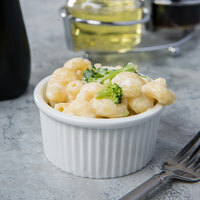 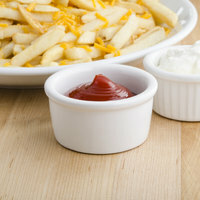 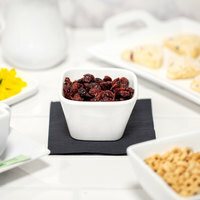 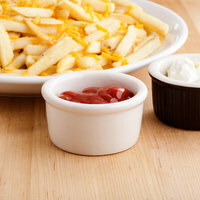 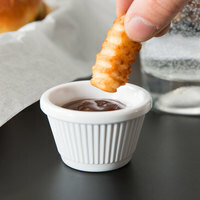 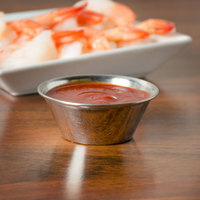 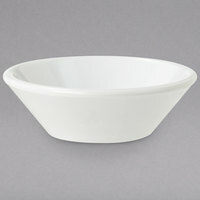 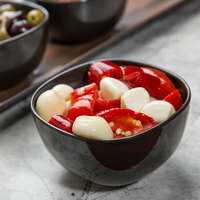 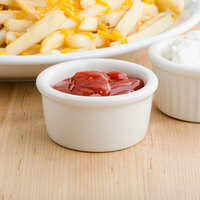 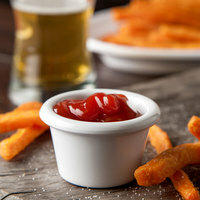 ramekin made of porcelain, ideal for upscale restaurants, or you need a durable stainless steel option for a more modern setting, you’re sure to find the perfect option! 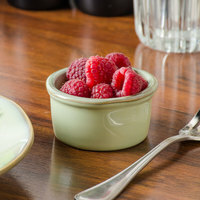 Adding ramekins to your dinnerware collection will give you the opportunity to get creative with your serving presentation! 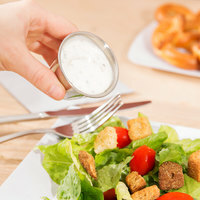 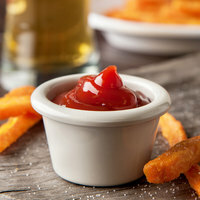 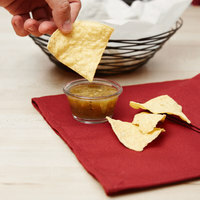 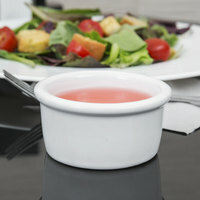 Guests can easily dip and enjoy their meals rather than pour sauces directly from the bottle onto their plates. 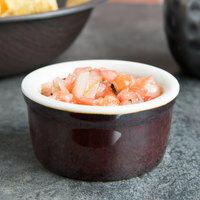 Plus, due to the larger size of these 5 oz. 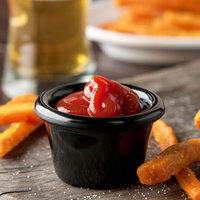 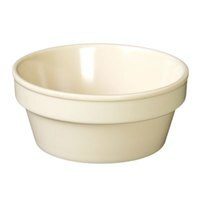 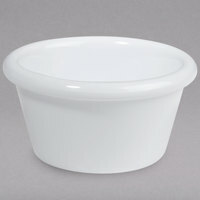 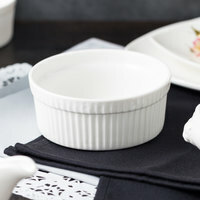 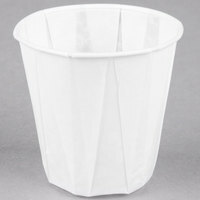 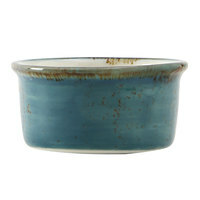 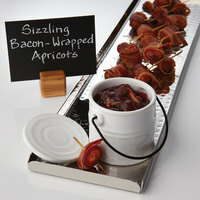 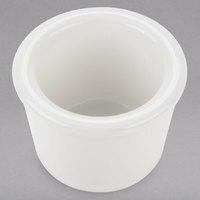 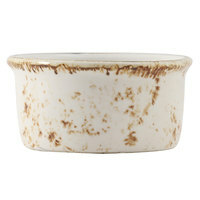 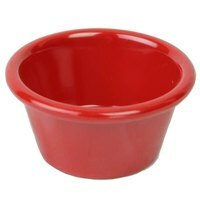 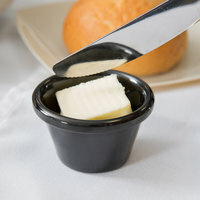 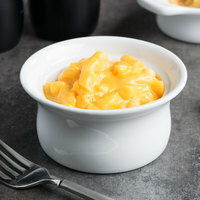 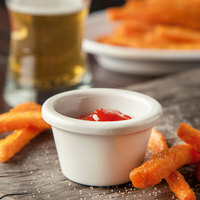 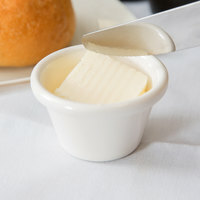 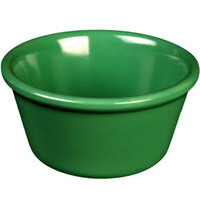 ramekins, you can use them for serving individual desserts, appetizers, and more!